For this weeks From Page To Screen I have decided to cover, I Am Number Four by Pittacus Lore. Now for a bit of back story in case some of you aren't familiar with the novel. 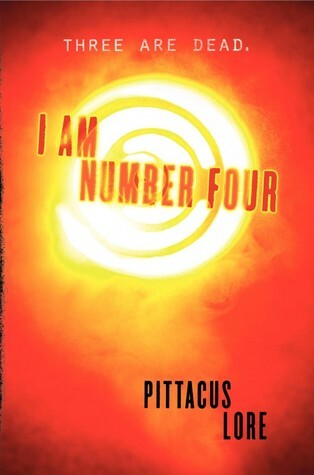 I Am Number Four is a novel written by Author Pittacus Lore. The book was originally released August 3, 2010 by Harper Collins. I Am Number Four is the first book in a planned five book series called the Lorien Legacies. I Am Number Four was met with mixed reactions from critics but managed to stay on the New York Time's Bestsellers list for seven consecutive weeks at #1. John Smith/Number Four- John Smith is 15 years old. He is described as being a fit, young man with blond hair. He has three circular scars on his right ankle, signifying the three dead Lorien children, and a scar similar to the pendent all the Lorien children wear, signifying the charm that protects them. John Smith is Number Four in the sequence protecting the Nine Lorien children living and hiding on Earth. John has special powers (legacies) that include Telekinesis, Lumen (fire resistance) and Animal Telepathy. He is also in love with Sarah Hart. Sarah Hart- Sarah is portrayed as an intelligent and beautiful teenage girl with blond hair. Originally a cheerleader, she dated Mark the most popular guy in school and also John's rival. Her parents realizing what a bad influence Mark was, sent her away for the summer. Upon her return, she quit Cheer and broke up with Mark. She is passionate about photography and animals. She is also John's girlfriend. Sam Goode- Sam is a quiet, shy and socially awkward. Sam is a lover of Aliens and Alien conspiracies and believes his father was abducted. He is shown wearing his father's glasses as he is trying to see through his father's eyes. Sam is also John's best friend. Henri Smith/Brandon- John Smiths guardian. He is assigned to Number Four when he was a toddler to help him develop his legacies. In case some of you aren't familiar with the movie, here is a bit of back story. I Am Number Four was directed by D.J. Caruso and was released February 18, 2011 by Touchstone Pictures. I Am Number Four cost $50 million to make and went on to earn over $145 million worldwide. Critics response to I Am Number Four was generally negative saying that the story just plodded along never delivering on the action until the very end. Two types of Mogadorians are shown. The first being Scouts and the second Soldiers. Only the soldier Mogadorians are shown. The Mogadorian soldiers carry swords. The Mogadorian soldiers carry guns. Number Six is described as having dark hair, olive skin and grey eyes. Number Six is blond with blue eyes. Sarah is quite popular. Since dumping Mark Sarah's friends ditched her. We learn the dog Bernie Kosar's name because he is seen wearing a dog tag with his name on it. Bernie is not shown wearing a dog tag and we learn his name through conversation. Henri is killed by the Mogadorians during the attack at John's High School. He is killed towards the end. Henri is stabbed by a Mogadorian after John saves him from the publishers of "They Walk Among Us". He is killed quite early. Number Four saves Sarah from a burning house. Number Four saves Sarah after she falls of a roof. The fire is omitted. After the hayride Number Four fights Mark and a bunch of his friends. After the hayride Number Four only fights Mark. Number Four has a legacy that allows him to communicate with Animals.He also has a legacy that allows him to not be burned by fire Number Four's Legacy regarding animals is omitted and Number Six is given his legacy to not be burned by fire. John waits to tell Sam he is an Alien until after they rescue Henri. John has already told Sam. John is really respectful to those who are trying to save him, especially Henri. John has an attitude and is quite skeptical of Henri's overprotective nature. The "War" takes place in the school and the surrounding forest. The battle is limited to the school and field. The above mentioned are the major differences I noticed when the book was translated From Page To Screen. Which however do I prefer? 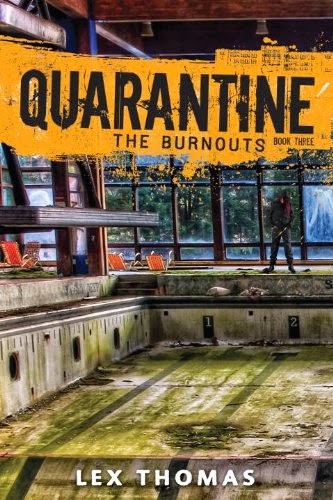 While I loved the action scenes in the movie, this week the clear winner is the book! I just didn't really like the actors in the film. Although Sam was quite well cast. Definitely read the book if you haven't already. It has much greater insight into the Lorien's and also has a larger cast of characters. If you watch the film great. However if you're looking for a 100% truthful adaptation you might be disappointed. _____________________________________________ Well that about wraps up this weeks From Page To Screen. Have a recommendation for an upcoming From Page To Screen, let me know in the comments below! Have you read the book or watched the film? Which did you like better? Why? 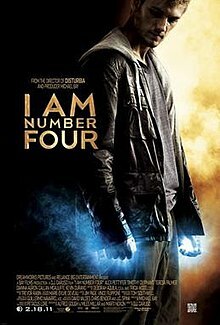 Who is your favorite character from I Am Number Four? I finished reading this book last night and I really enjoyed it. While I'm reading I noticed the difference of it on the movie, now I understand why people who red the book hate the movie so much. I enjoyed the movie honestly that I bought a movie tie-in edition, it was action-packed which the book lacks of, but the book was really amazing it has many many interesting factors that they didn't include in the movie, which turns the movie for me is now not that good. I love this feature on your blog. I will read the rest. Looking forward for more.